Majestic beads in rich, bold, rhythmic colors cast a spell in of magic and mystery in this one-of-a-kind Royal Silk necklace. 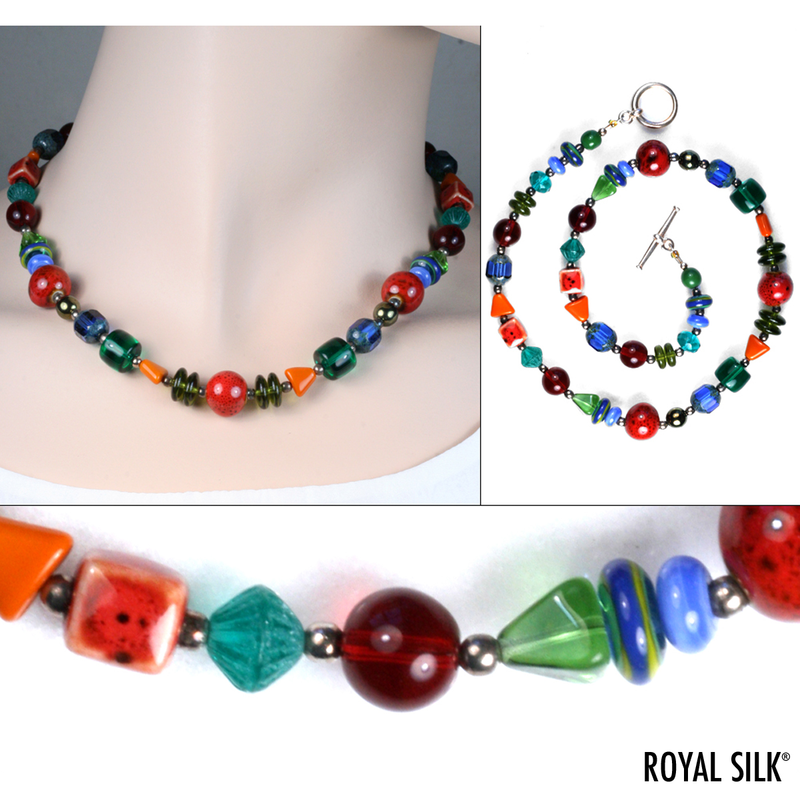 This frisky piece of jewelry art features vintage and new glass beads from Europe and Asia, handmade Javanese rondelles, multi-colored spheres of ceramic, each separated by sterling silver rounds that make the adjacent colors pop. Sterling-plated toggle closure. Designed and hand-fabricated in the USA by our Princeton-based artist. Necklace 3122. 17�.